A phase field model has been successfully constructed to simulate the behavior of the semi-crystalline polymer solidification phenomenon. It is a model that has been widely and successfully utilized to simulate solidification phenomena in metals. 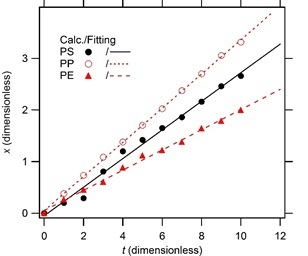 However, the non-conserved phase field equation can be extended to include unique polymer parameters that do not exist in metals; for example, polymer melt viscosity and the diffusion coefficient. In order to extend this model, we incorporate free energy density and non-local free energy density based on the Harrowell-Oxtoby and Ginzburg-Landau theorems for polymer. By using the expansion principle for the higher order of binary phase field parameter, a full modified phase field equation can be obtained. The solidification phenomenon in polymer is very important to optimize the final properties of the products. Here, we use our modified equation to investigate the effect of melting temperature on the rate of solidification. It was found that the rate of solidification is correlated with melting temperature in a non-straightforward manner. 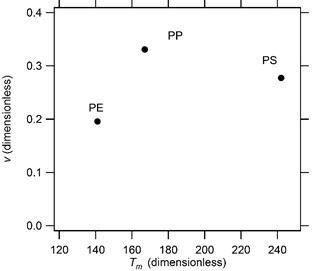 We calculated that PP has the highest solidification rate (from the gradient), followed by PS and PE. This is due to the relatively large difference between the melting temperature and crystallization temperature for PP. 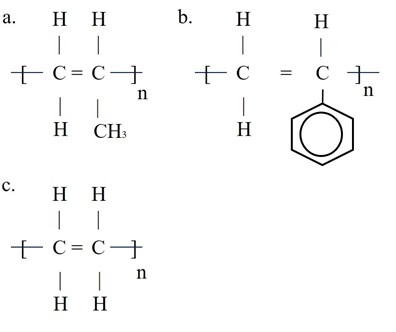 Thus, to achieve equilibrium, PP needs to dissipate heat faster and crystallize faster. Generally, a higher melting temperature yields a higher solidification rate, except for PS. This shows that the melting temperature is not directly related to the solidification rate. There is a direct relation, however, for the ratio between the difference of melting temperature?crystallization temperature and equilibrium melting temperature (Tm-T)/Tm0. We are grateful to and thank DRPM UI for the PITTA 2017 research grant that made it possible to conduct this research.